How diverse is journalism? 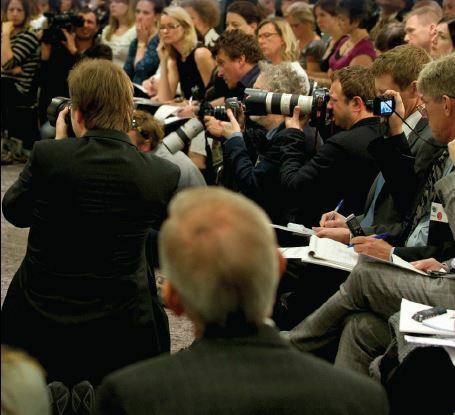 Are journalists less religious than the general population of the UK? How is digital journalism impacting specialist beats? And how ethical are UK journalists? A new report by Dr Neil Thurman, Dr Alessio Cornia and Dr Jessica Kunert, analyses a survey of over 700 UK journalists conducted in December 2015. Exploring gender and ethic diversity in the newsroom, as well as levels of education in the profession, the report delves into practice, ethics and workload for UK journalists. Some of the key findings of the report are: Although women make up a relatively high proportion of the profession, they are less well remunerated than men and are under-represented in senior positions. Journalism is now fully ‘academised’. Of those journalists who began their careers in 2013, 2014, and 2015, 98% have a bachelor’s degree and 36% a master’s Journalists are less religious than the general population and a smaller proportion claim membership of the Muslim, Hindu, and Christian faiths. 20% of journalists have gross yearly earnings of less than £19,200, likely to be at or below the ‘living wage’ for many. Since 2012 the proportion of journalists in the UK working in newspapers has fallen from 56% to 44%, while the proportion working online has risen from 26% to 52%. Twice as many UK journalists believe that their freedom to make editorial decisions has decreased over time as believe it has increased. UK journalists believe that ethics, media laws and regulation, editorial policy, their editorial supervisors, and practical limitations exercise the greatest influence over their work. Download a PDF of the report below. What Kenya's Nation Media Group Learn from International Media Organisation to Improve Business Reporting?